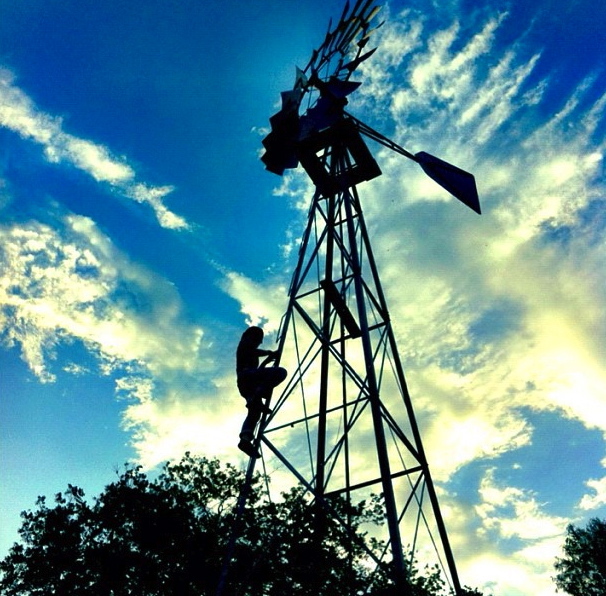 Last year I was living in Texas celebrating Memorial Day by climbing windmills with my best friend at the Ranch. Today I'm celebrating by laying stone pavers in our backyard in Kentucky. It's amazing how quickly life can change-- how much more joyful one can be when surrounded by people who gently push them towards creativity. I pray I never take this gift for granted. Today I will clean the house, make miniature clay ponies, and have a turkey dinner with my family. Amazing breakfast with my best. An adventure to the grocery. A walk to Cherokee park with two rad pupsqueeze. A dance party. A cupcake baking extravaganza. A hot dog party with friends. YEEESSS. I love this day. Hiked to the pinnacle in berea, ky with my bestie! Climbing windmills?! You girls are crazy brave :) I spent Memorial Day waking up to the rain in my tent with my family, then traveling home and taking in happy hour margaritas and guac at Nada in downtown Cincinnati. Complete 180 in one day, but so much fun. Spent it flying Black Hawks all over Afghanistan for 8 hours! Cannot imagine a better Memorial Day!